The Drivers and Manufactures Championships have all been decided. Now all that is left, is for the best drivers in the world, to conquer the toughest and possibly the wettest, winding forest stages in the World. Hosting the final round of the 2013 season. Its Wales Rally GB. Previous Champions Citroen, New champions Volkswagen and Previous GB winners M-sport will battle it out in the Welsh forests once again, along with 100 other competitors. Battling the treacherous muddy conditions as they Power-slide their way through the northern and Mid Welsh forests. With expected conditions to range from fog, ice, rain and even snow throughout the weekend. We are once again set for a thrilling final battle for victory. 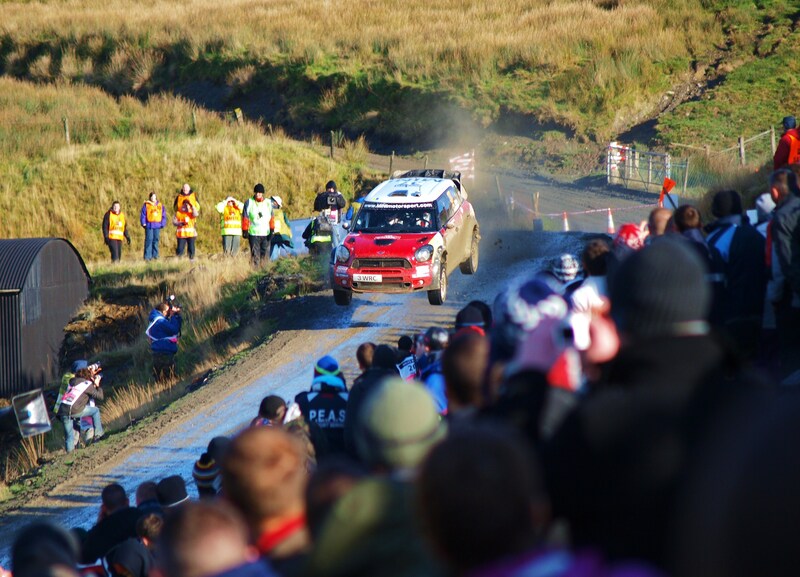 This years Rally GB has been dubbed ‘The Rally of Legends’ and has seen a complete re-make from previous years. 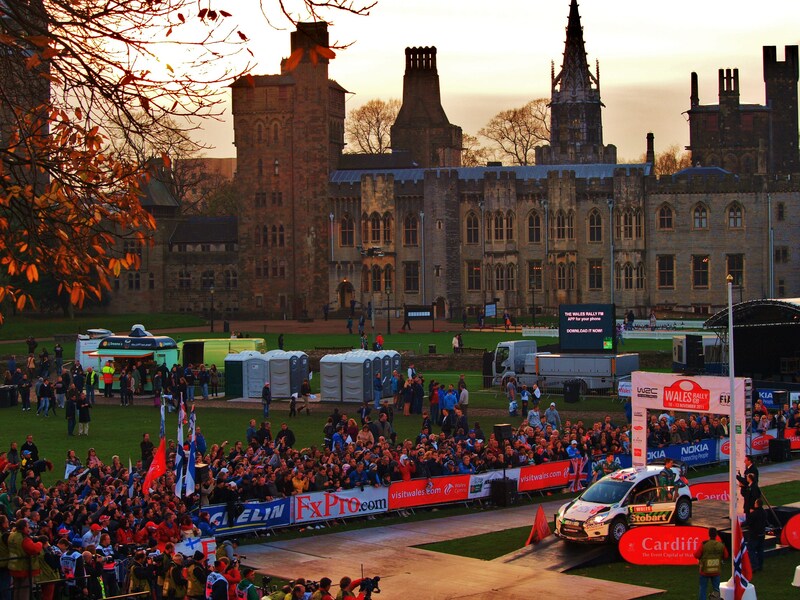 The ‘New Look’ Wales Rally GB will no long be based in Cardiff. But up North in Deeside. With a mix of new stages, original stages and bringing back some that haven’t been used for nearly 15 years. 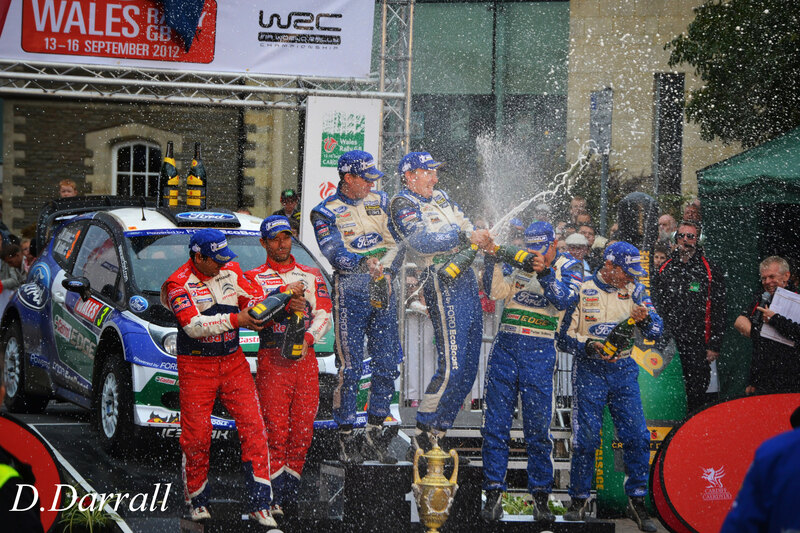 The organisers, have been working hard to turn Rally GB once again, into one of the best events on the calendar. It may not be the warmest or most glamorous events on the calendar, but it is always one of the most challenging and action packed. The rally kicks off with a pre-event qualifying. It will then be off to Llandudno for the picking of road order and the official start to the rally. Then its into 3 night stages. 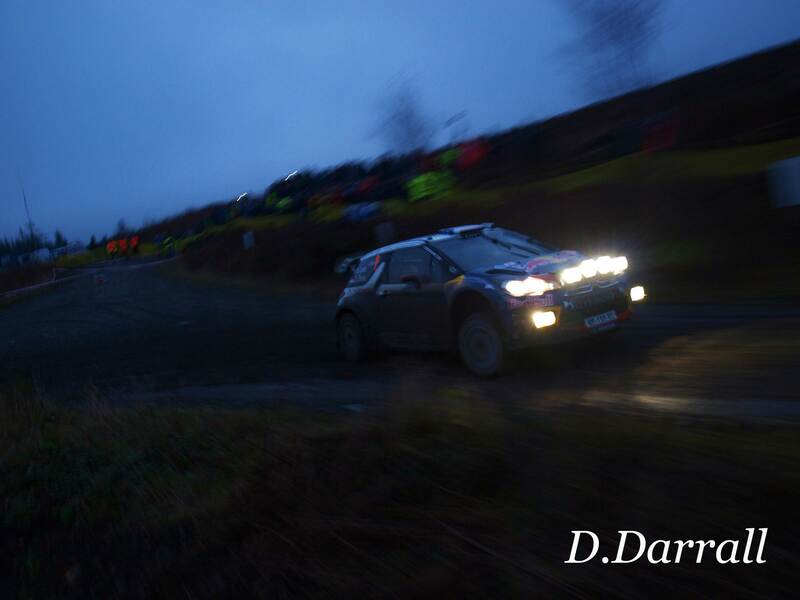 As the crews battle a total distance of 24km’s over the 3 stages, ending with the Clocaenog, which has previously feature as a night stage in the past. The crews will be given a late night service, to repair any damages picked up in the dark forest ready for the following morning. Day 2 of the rally on Friday, the event returns to a similar itinerary to that of the last few years. With stages taking place in mid-wales, with remote Service based in Newtown. Meaning that the drivers only have limited time to repair the cars without the use of their usual full service facility back in Deeside. Adding another challenge to the rally, as any serious damage will not be able to be fully repaired. The three stages that will be run in the morning, then repeated in the afternoon are; Hafren, Sweet Lamb and Myherin. Hafren & Myherin both around 32 km’s long, and are the longest stages of the rally, based around the hill sides of mid-wales. In between them two is the Sweet Lamb stage. Only 4.26km’s long, but one of the best stages of the Rally to watch for spectators. The main part of the stage runs around a natural ‘bowl’ as the cars come into view over the hill-side, winding their way down the hill, as they get to the bottom, the cars head flat-out towards the biggest part of the spectator area. They hit a water splash, which is then directly followed by a big Jump. As soon as the cars land, its hard on the brakes, in prep for a very tight and muddy hairpin right. This then sends them back around the bottom of the ‘bowl’ and into a long sideways power slide, as the drivers hold the cars in opposite lock round the long left hander, bringing them back towards the main crowd and up into another two jumps. As they get to the far side, it’s another splash and dash as they power up the hill, and out of view. Day 2 is a total of 137km’s. Day 3 on Saturday is very different. With the first of the two stages, Gartheininog & Dyfi starting at 8:30 in the morning. Gartheininog being open for spectators for the first time on Wales Rally GB, features big climbs and steep downhill sections. Dyfi is an iconic special stage which is situated high in the shadow of the Snowdonian Mountains and was last used to its full length 10 years ago. Wide roads with an excellent surface and long sweeping corners make for a fast stage. After the cars re-fuel and re-group, they then have to go out and repeat these two stages, the 2nd running starting at 10:30. Once they have been repeated, there will be no service. Which means the Drivers will have another tough challenge of trying to survive the mud sodden stages. This leads the drivers straight into a lunch time blast through the 21.34km Dyfnant. These forest roads are a mixture of long fast stretches with wide sweeping bends, hairpin turns, and tight technical sections to start and finish. If the drivers survive that forest challenge they then face yet another stage, which is repeated. This time away from the hills and forest vallies. Instead, this final stage is based around the grounds of Chirk Castle. Much like Sweet lamb, this will be used as one of the ‘rallyFest’ stages. Meaning lots of action and entertainment for the fans, as they watch the cars run through the stage twice. Then the drivers will be glad to have ended, what will feel like a long tough day of action when they get back to the service park, despite service only being at 3:41. In total 7 stages on Day 3 with a distance of 101km’s. Then its on to the final Day. And This once again won’t be an easy challenge for the surviving drivers, as they will still have to face another 6 stages, albeit only 51km’s in total. The final morning kicks off with a repeat of Day 3 stage, Dyfnant. Nothing like a 21 kilometre fast, tight and technical stage for breakfast. Then its a run through Penllyn, which is another new stage being used for the first time on Wales Rally GB, Penllyn is a high speed stage set in rugged terrain on the border of the Snowdonia National Park. The following stage is the power stage, which will be a repeat of Clocaenog. Then into kinmel park, two blasts round there and its onto the final stage. A true Classic, and one of the best coastal roads in the UK. The Great Orme. It may only be 4.6km’s long, but its an all tarmac stage, along a narrow tight, twisty road with a Vertical Rock face on one side, and a 3 foot wall on the other side. beyond that wall is a sheer drop into the sea. There is no room for error here on this stage. And will be the one last big challenge for the drivers. And to make it even tougher, the cars will be on Gravel set-up and gravel tyres for the final stage. This is one of the few Rally’s Ogier hasn’t done to well on. Crashing out a number of times in the past, once being on the Great Orme stage when he took a wheel off on the rock face. 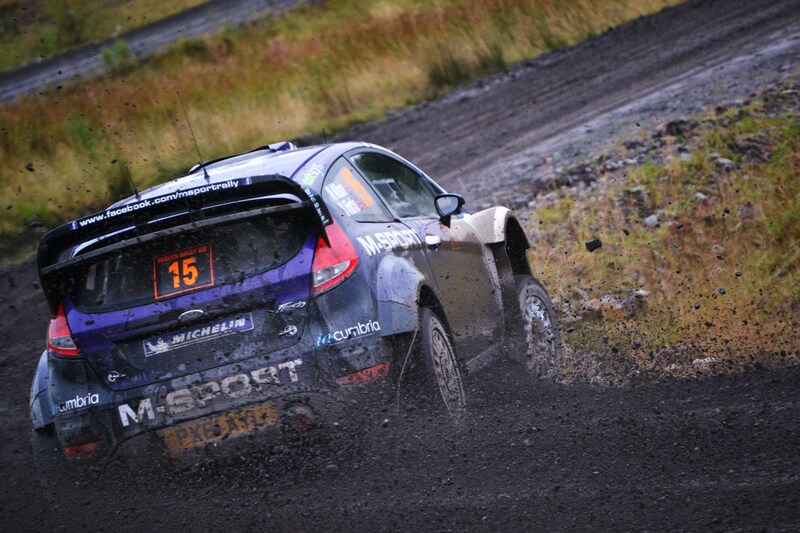 Jari-Matti Latvala has the most experience in Rally GB. His been competing on the Welsh stages since he was 17. and has to be favorite to win. However Neuville is looking to give M-Sport a good send off before he heads over to Hyundai next year, and is desperate for his first win. Mads Ostberg another favorite for this rally. Over at Citroen, Mikko Hirvonen has lost the WRC championship on this event twice in the past. But now with no Loeb, he could show the top pace for the rest to follow behind. Making his WRC debut in Citroen this weekend is Ex F1 star, Robert Kubica. He won’t be pushing for a win, but will be looking to see what he can achieve in his first WRC drive at the top. 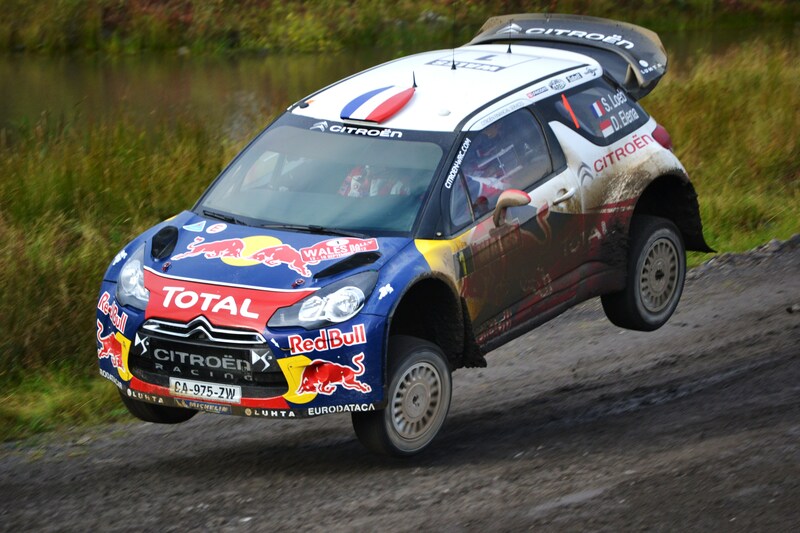 This entry was posted in WRC and tagged Citroen, ford, GB, M-Sport, rally, Volkswagen, Wales, WRC. Bookmark the permalink.